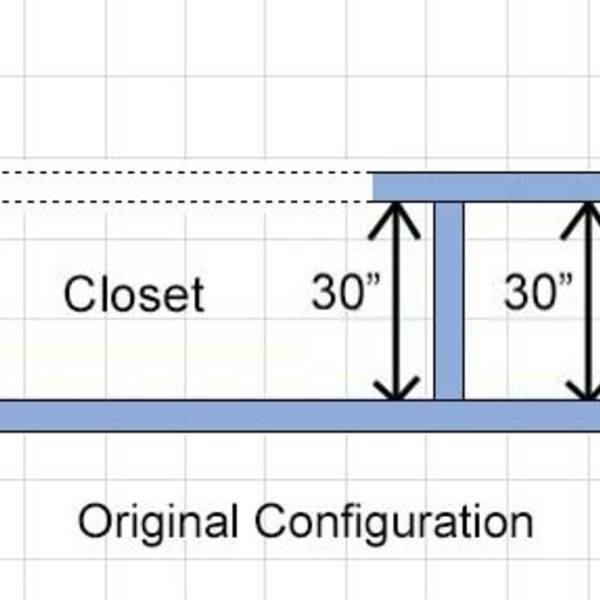 For some time now I've wanted to build a modular system in my office closet to gain more storage space. 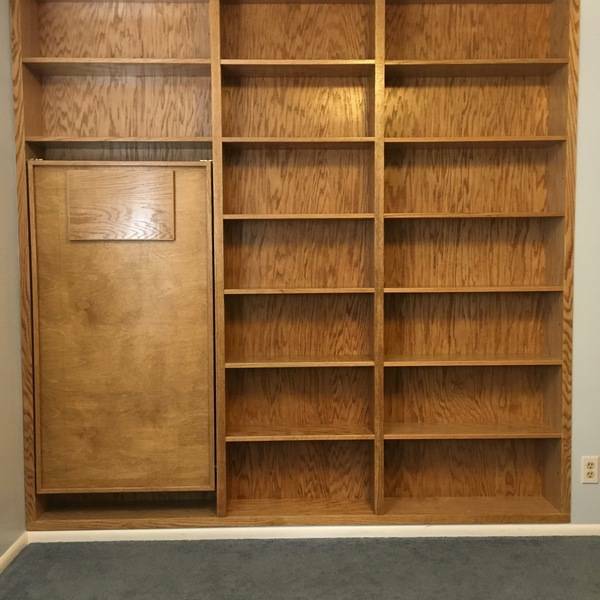 My wife and I also have an abundance of books which have long needed permanent shelving. In addition, I watch our three-year old grandson several days a week and will soon be adding another grandchild to the roster--along with all their associated "stuff." 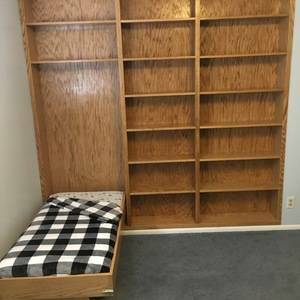 Space is getting increasingly difficult to come by! 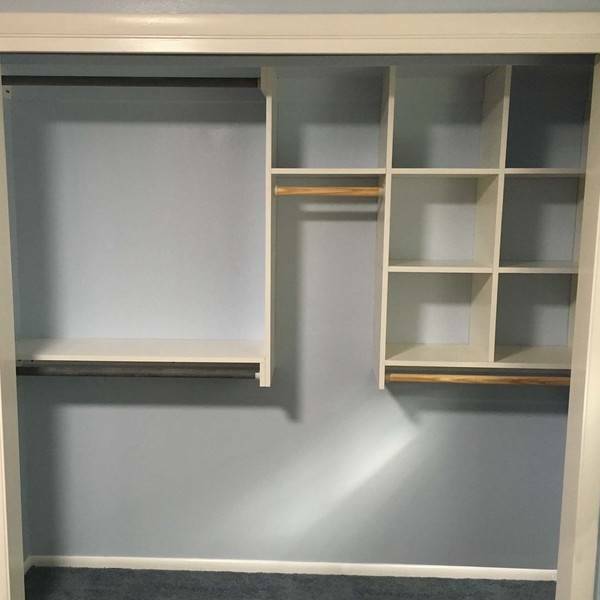 Fortunately the office closet has become the means for addressing all three issues. 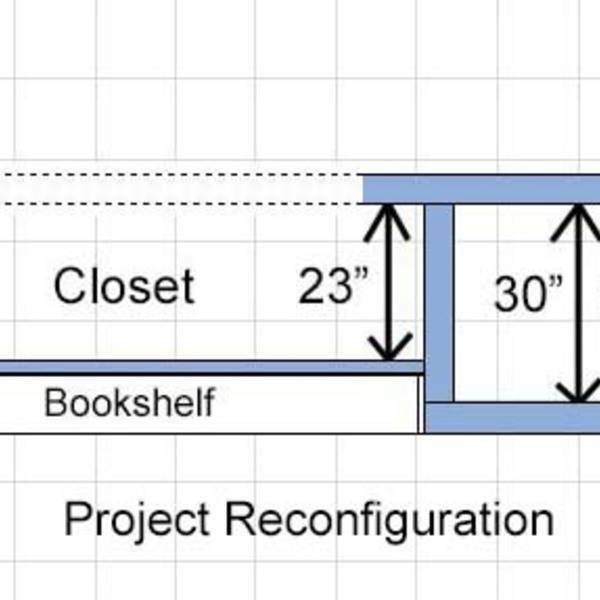 It's situated between my office and the spare room/nursery and, as shown in the diagram, was built deeper than standard depth. By moving in the back wall of the closet (which I insulated) and placing the studs sideways, as shown in the other diagram, I was able to gain enough space for a set of built-in floor-to-ceiling bookshelves. 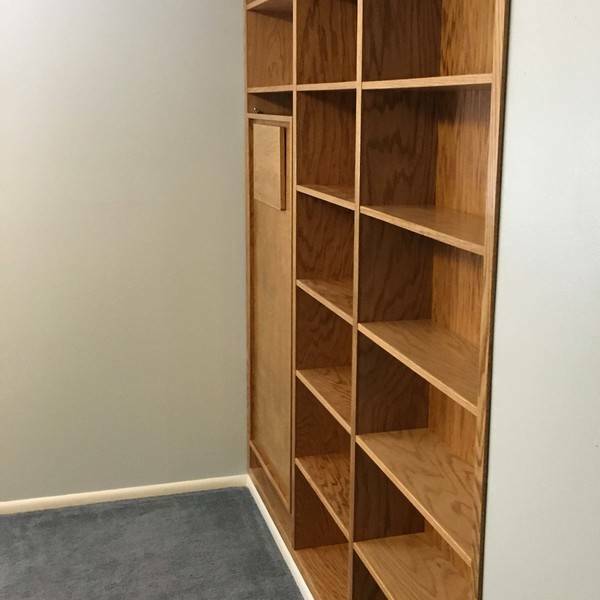 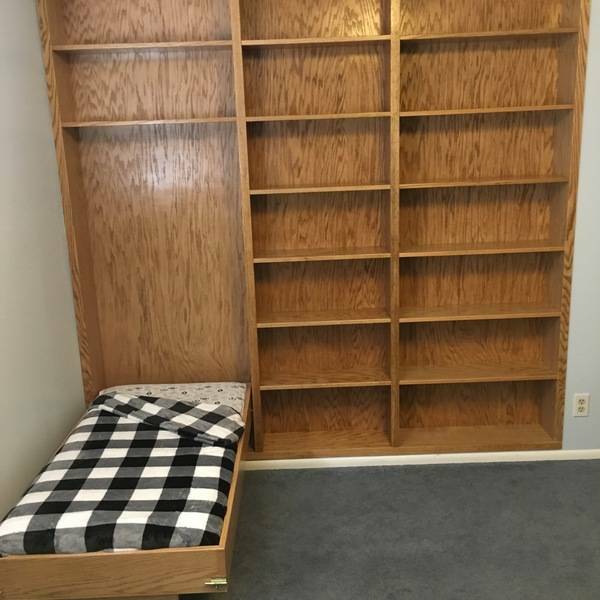 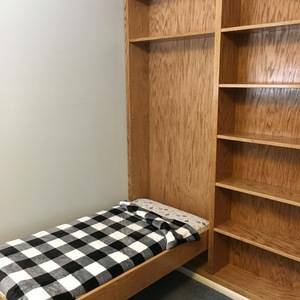 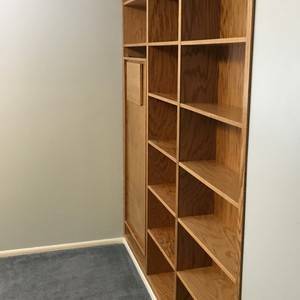 The bookshelves, in turn, house a crib mattress-sized Murphy bed for the grandson. 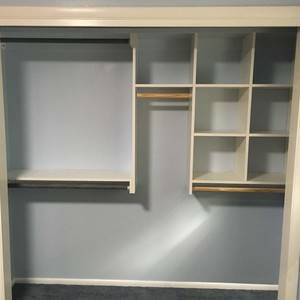 (I drilled shelf-pin holes in the sides of that unit in order to accommodate adjustable shelves, for when the bed is no longer needed.) 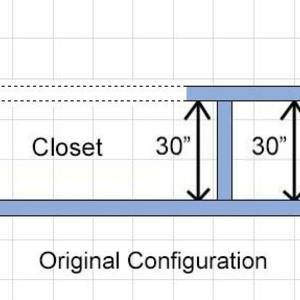 And the new closet depth of 23-1/4" is sufficient for the modular system I built, which increased hanging space by 40% over the original closet design.